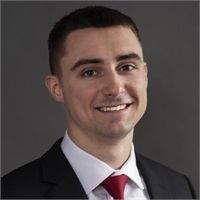 Thomas Clark joined Penn Wealth Planning, LLC full time in January 2019 as a Client Associate Liaison. Thomas is an LPL Registered Administrative Associate and holds his series 7 and 66 registrations. His role is to assist the advisors and staff as they guide clients throughout the financial planning process. Prior to full-time employment, Thomas worked part time as an intern with Penn Wealth planning in the fall of 2018. Thomas has also completed summer internship programs at a fortune 250 insurance company and a holistic financial planning firm. It was during this time Thomas became a licensed life insurance agent. Thomas grew up and currently resides in Broomall, Pennsylvania. He volunteers as a youth mentor at Youth Mentoring Partnership and leads young teens in workouts. The workouts are used to help the mentees build perseverance and confidence. He also helps mentees set physical, personal and academic goals and keeps a log on progress. Thomas also worked as a part-time associate at a local funeral home in his community for seven years. Thomas attended West Chester University where he participated in the WCU Investment club. He graduated in the fall of 2018 with a Bachelor of Science Degree in Finance.